These past two days have been by far the scariest and traumatic health issues I have ever dealt with in my life. I can’t even describe the way my mind and body felt when I experienced the vasovagal syncope. In layman’s terms, I fainted due to the lack of blood/oxygen to my brain. Late Sunday night, I was experiencing severe hiving all over my appendages. I figured it might be an allergic response to something I had eaten for dinner, so I made sure to take some antihistamine. Even without the drugs, the itching was extremely unbearable, and I started to have heavy breathing. I called the advise nurse just to make sure all was good, and she told me to go see a doctor early the following morning if the hives were still there. I was bummed because I was supposed to fly out to Chicago for CHA early on Monday morning. I had an inkling that my health was more important than going on a business trip, so I went to the see the doctor yesterday. While at the doctor, I was told that I may have allergies to certain foods. Also, she wanted to check my hormone levels. 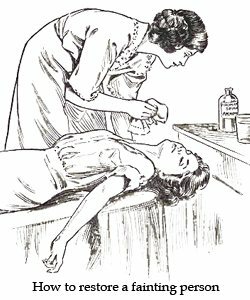 Thus, she requested a blood draw to check my internal counts. I went down to the lab of the clinic to get my blood drawn. Okay, so needles aren’t my favorite thing. However, I’m not super, super afraid of them. In the lab chair, the phlobotemy technician started to inject the needle into my left arm. There was no blood being extracted from my body because she had missed my vein. Because she had missed my vein, she started to shift the needle under my skin! Ouch! She had said, “Maybe we shouldn’t fish for blood.” She chuckled while she pulled the needle out of my arm. ARGH! Then, she told me she would try my other arm. She proceeded to prep my left arm by tying the band around my arm. The smell of rubbing alcohol was so prominent. Right when she injected the needle into my left arm, all sound became muffled. I couldn’t hear anymore, and I started to see extremely bright light. While the bright light started to appear, I could hear people screaming my name. Then, all was black. Complete darkness. I don’t remember anything else from that point. I was unconscious. Gone. In another state of mind. It was so scary, and all I could do was cry. I couldn’t speak. When I tried to talk, nothing came out. When they asked me to squeeze their hands, I had no control of my arms and hands. It took me at least five minutes to finally gain control of my body after waking up. …and even having that control was hard. It took so much will power to move any part of my body. My nervous system shut down on me. Actually, to be more specific, my vagus nerve, which is a cranial nerve, told my body to drop blood pressure and pulse. Thus, temporarily, there was a lack of blood flowing to my brain. I have normal blood pressure, but because my nerve had this response, it dropped to extremely low levels. My blood pressure and pulse were both near fatal. The actual episode of fainting is not life threatening. As a matter of fact, it’s fairly common. However, the lack of blood flowing into the brain can be serious and can cause brain/nerve damage. I was out for a while and according to the people that were there, my face turned bluish purple. Apparently, I was cold to the touch and unconscious. That’s where it got scary. 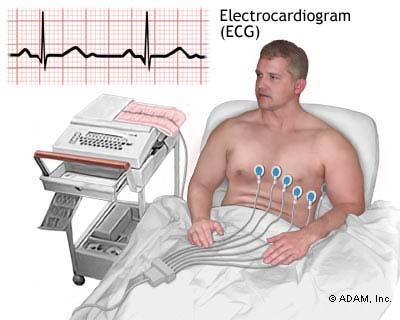 To be on the safe side, they ordered for an EKG reading to make sure my heart was functioning normally. Eventually, I made it out of the clinic. It took me a while to sit up, but I finally did. Thank goodness for the medical professionals that were at my aid during the incident. I honestly don’t remember getting from the lab to the private room, but apparently they had hoisted me into a wheelchair to transfer me to a room. Again, I’m bummed I’m not in Chicago like I had planned, but my health is more important. I’m glad that I regained consciousness and didn’t end up in a coma. I’ve been resting my body as prescribed by the doctor, so if you’re looking for me at the store, I won’t be in for awhile. Hopefully, with all of this resting, I’ll be back to normal in no time. PS: Thanks to everyone for the well wishes. It has kept me smiling through this scary time. Good grief chile. OMG. TAKE CARE OF YOU. PLEASE. So glad you are o.k.a.y. oh, my. take care, rest plenty…you know all the things your Doctor and Mom tells you to do. Hoping that you keep feeling better and get this all figured out. So scary. I’m so glad you are okay and that it happened around people who knew how to respond. Hope your dr can get this all figured out for you soon and that you get lots of rest. Big hug! Good thing you were at the clinic. My son fainted one night when he got up to go to the bathroom. He hit the sink on his way down and gashed his head open. We had to rush him to the ER. I was a mess because I was more worried why he fainted rather than the gash. The doc said that he had a sudden drop in blood pressure which caused him to faint…Micturition syncope. I guess emptying your bladder while half asleep can cause this. Very scary! I have a vasovagal response when they start talking about tubing me for surgery. They go into their spiel about gagging sensation etc. and I pass out. But since my experience has always been on a surgery table it was nothing like your scary experience. You may need some meditation exercises or something the next time you face a blood draw. The same kid of mine is also very scared of needles. At 21 we had an argument in the lab because he tried to walk out and started crying when I told him he had to get the test done. He turns really red and breathes all crazy. But I hold his hand and tell him to keep talking to me, lol. I better watch him next time. Get rest, lots of fluids, and find a good phlebotomist and request that one all the time. As a diabetic I tend to be a hard blood draw for most and I hate when I get one who “fishes” for a vein 4-5 times. I always feel like I look like some kind of junkie when they are done. So I find out who is good and try to only get them. Take care sweetie. Hope to see you this weekend! So very scary! Glad you are ok. Take good rest. Sarah, I am so glad that you are alright. That must have been so scary. I hope you get lots of rest and things get back to normal for you soon. Wow – that is so scary! Please rest up. CHA will still be there next time. I hope that your on the mend. Good thing you didn’t go on that trip! That could’ve been a disaster. Get well soon. So sorry, terrifying! I hope the doctors figure out what is wrong quickly. Your health is far more important than the store or CHA. Take care of yourself. Hugs and Prayers. Wow! I’m glad you’re feeling better now but what a scary experience! Hopefully you can make it to the next CHA! Take care of yourself, Sarah! That sounds like a scary experience you had, but I’m glad you made it through and just take it easy now. okay Sarah–THAT is so SCARY! Glad to hear that you are feeling better and on the mend–TAKE care of yourself! Take care of yourself. This sounds like one scary episode. The blood drawing thing, well, no one should fish for blood, you can’t move the needle around once it has pierced the skin! yikes. I have extremely small veins and I’m told this every time I need blood drawn, I so can related to the stuff before you fainted, oy vey. Take care and get well!